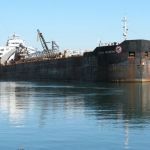 The 223 meter long self-unloading bulk carrier Algoma Navigator went aground in the Welland Canal in Port Robinson, Ontario. 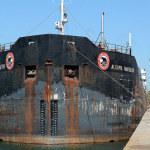 The Algoma Navigator was passing through the canal in dense fog when the vessel struck the canal bank. No reports of injuries or pollution released. The bulk carrier suffered some hull damage to its port side reporting there was some water ingress. 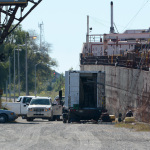 The Algoma Navigator continued through the canal to Port Colborne where it berthed and inspected by authorities. 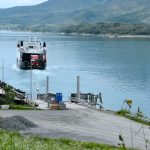 The 41 meter long ro-ro passenger ferry Dyroey allided with the quay in Sandsøy, Norway. 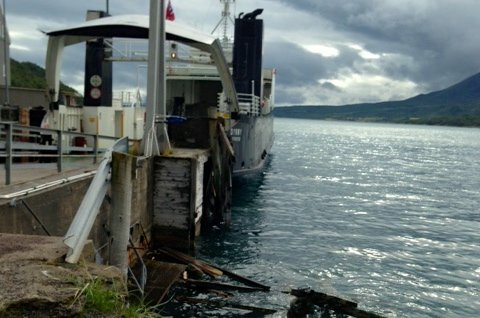 The Dyroey struck the quay when a sudden gust of wind pushed the ferry into the mooring booms. No reports of injuries or pollution released. The bow of the Dyroey would not properly close. 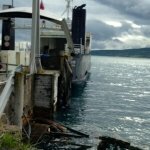 The mooring pillars sustained some damaged. The Dyroey was removed from service as a precaution.